Saturday, January 21, 2017 at 7:00 pm at Rancho Campana Performing Arts Center, at 4235 Mar Vista Dr, Camarillo, CA 93010. Sunday, January 22, 2017 at 3:00 pm, at the First United Methodist Church of Ventura, 1338 East Santa Clara Street, Ventura. Ashley is now a junior in high school, and in her 6th year of playing the clarinet. Upon joining band in the start of 6th grade, Ashley fell in love with making music and now takes part in as much of it as possible. She is heavily involved in Moorpark High School’s music program, serving as the clarinet section leader and woodwind captain in the marching band, as well as performing with the school’s premier Wind Ensemble, Clarinet Choir, and even playing saxophone in the Jazz A Band. 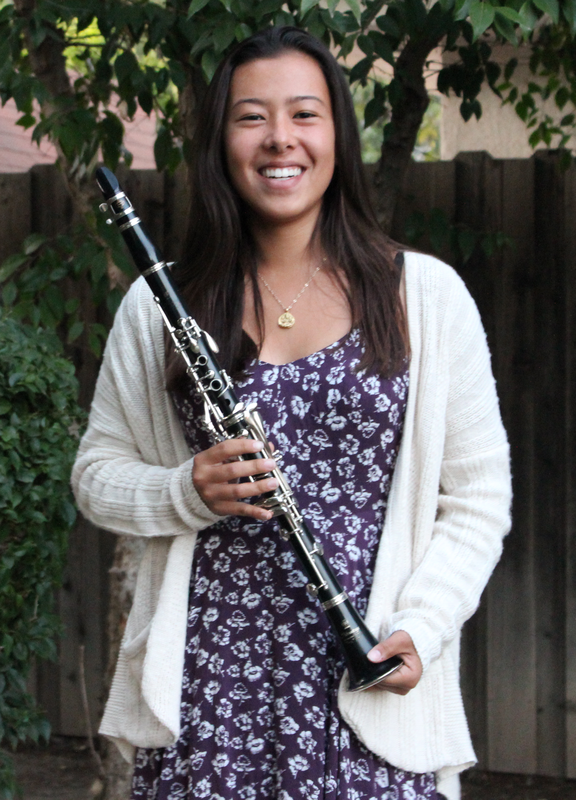 Outside of school, Ashley is principal chair in the local Conejo Valley Youth Orchestra, has been a participant in the Ventura County Honor Bands for the past 3 years, and was accepted for All-State Honor Band this past year. When she is not busy with rehearsals or her academics, Ashley enjoys listening to music and spending time with her friends and family. Ashley would like to thank her parents, family, teachers, and friends for their bottomless support in her music, and a special thanks to Celena, who she has looked up to as a friend and role model since the 7th grade.